These Tumblr's shoot your site on the first page of Google!! 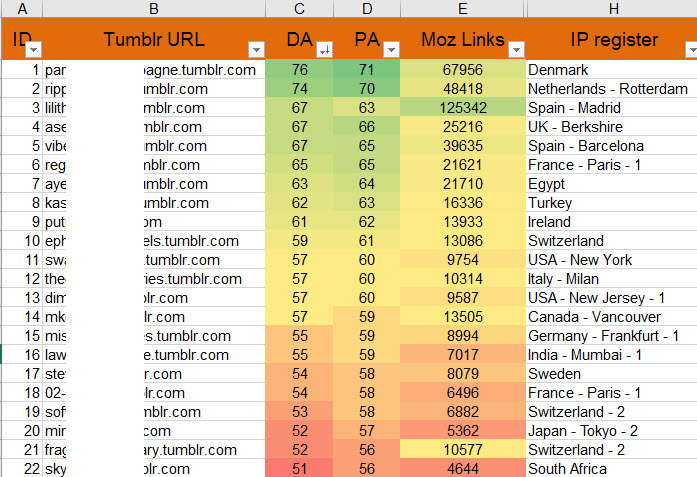 Tumblr is the one of the most popular Web 2.0 and its backlinks rank at the top in google's search algorithm. The expired web 2.0 ranking strategy works. I will give you 5 expired Tumblr blogs with backlinks that you can add content to and rank your site no. 1 in Google search. > Domain authority is +50, so that making most authorized and trustworthy domain. >The expired web 2.0 blogs will have a page authority of at 60-70. >login with all details (email,tumblr email for publishing,password) . >Tumblrs registered in different IP. >A properly formatted report in excel sheet. If any problem in delivering registered tumblr blogs, We will refund or give the replacements within 3 to 5 days. 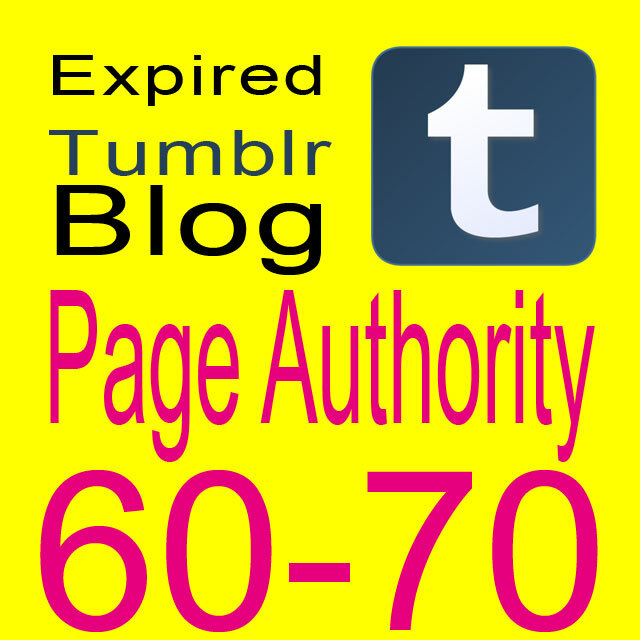 Get 5 Expired Tumblr registered PA 60-70 is ranked 5 out of 5. Based on 16 user reviews.